Bonjour / Goeiendag to visitors from Design for Persuasion: while you’re here, you might also like to download a free poster [PDF] which has 12 of the Design with Intent patterns on it in a handy reference form. Thanks for stopping by! The Persuasive Lens represents the emerging field of persuasive technology, where computers, mobile phones and other systems with interfaces are used to persuade users: changing attitudes and so changing behaviour through contextual information, advice and guidance. The patterns here are based mainly on ideas from BJ Fogg’s Persuasive Technology: Using Computers to Change What We Think and Do and related work. The major applications so far have been in influencing behaviour for social benefit, e.g. persuading people to give up bad habits, adopt healthier lifestyles or reduce their energy use. 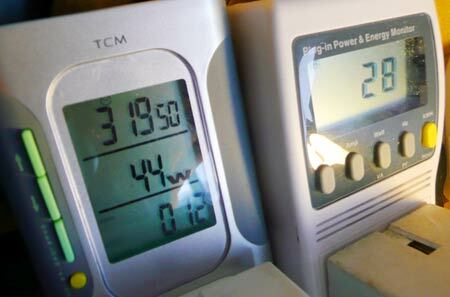 Examples: Energy meters (above) of many kinds allow householders to see which appliances use the most electricity, and how much this is costing, whether or not they choose to act. but can also motivate a user by increasing mindfulness right before action is taken. â– Simplification of tasks — thoughtful reduction in John Maeda’s terminology — makes it easier for users to follow the intended behaviour. â– Using ‘shortcuts’ to remove cognitive load from the user (e.g. energy labels) can be very powerful, but be aware of the manipulation potential (see also framing). By removing stages where the user has to think about what he or she’s doing, you may also risk creating exactly the kind of mindless interaction that lies behind many of the problems you may be trying to solve! Example: The Eco Button reduces the steps needed to put a computer into a low-power state, thus making it much easier for users to save energy. Example: The Pam personal activity monitor, by measuring acceleration rather than simply numbers of steps, allows the feedback it gives and exercise rÃ©gimes it suggests to be tailored to the user, which allows it to be much more like a ‘personal trainer’ than a conventional pedometer. â– B.J. Fogg uses the example of people voluntarily hiring personal trainers to guide them through fitness programmes (which also involves tailoring). Many software wizards which go beyond merely simplifying a process, into the area of shaping users’ choices, would also fit in here; there is the potential to lead users into taking actions they wouldn’t do in circumstances outside the tunnel, which must be carefully considered ethically. Example: The installation wizard for the Foxit PDF Reader tries to get the user to ‘choose’ extra bundled installation options such as making ask.com the default search engine, by presenting them as default parts of the process. By this stage the user cannot exit the tunnel. Example: The AWARE Puzzle Switch – designed by Loove Broms and Karin Ehrnberger gives more obvious feedback that a light switch is left on, through obvious ‘disorder’. Example: Jakob Nielsen suggests that “a financial website could…encourage users to save more for retirement [by showing] a curve of the user’s growing nest egg and a photo of ‘the hotel you can afford to stay at when travelling to Hawaii after you retire’ for different levels of monthly investment”; interactive savings / loan simulators such as this from Yahoo! are increasingly common, and have the potential to influence user behaviour. â– Sometimes the reward is a function of the system itself: saving energy naturally results in lower electricity bills. 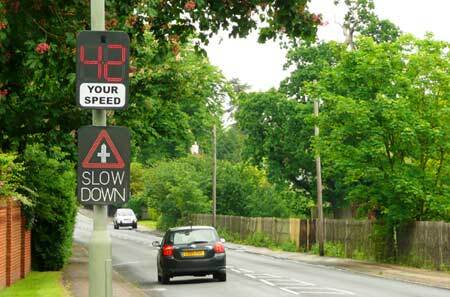 The system must make the user aware of this, though, otherwise a reinforcing effect is less likely to occur. â– Respondent conditioning, also known as classical conditioning, can be applied to influence behaviour through helping users subconsciously associate particular actions with particular stimuli or settings, and responding accordingly: basically, developing habits which become reflexes. If you automatically feel for the light switch when you enter or leave a room, or brake when something appears in front of you on the road, this has effectively become a reflex action. â– Using design, we could try to associate existing routines with new behaviours we would like – e.g. checking the house’s energy use when we look out of the window to see what the weather’s like outside, by fixing an energy display to the window (a concept by More Assocates / Onzo used this idea). Or we could try to undo these conditioned reflexes where they are damaging in some way to the user, by putting something else in the way. 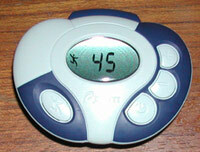 Example: Smoking is often a conditioned reflex; many devices have been designed to try and undo or thwart this reflex when the user wants to quit, such as the Nicostopper, which stores 10 cigarettes and releases them only at pre-determined intervals. â– The media equation is the idea that “media equals real life”, i.e. that many people treat media (computers, TV, other systems) as if they were real people in terms of social interaction. If users believe that a computer (/system) is ‘on their side’, and helping them achieve their goals, it’s probably more likely they’ll follow advice given by the system: you can design systems to use ‘persuasive agents’, whether explicitly using simulated characters (e.g. in games) or by somehow giving the interface a personality. â– If the system frustrates the user, advice is more likely to be ignored; equally, beware of the uncanny valley. As pervasive computing and artificial intelligence develop, establishing computers as ‘social actors’ in everyday life offers a lot of potential for more ‘persuasive products’. 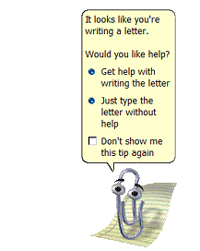 Example: Microsoft’s Office Assistants, including Clippit / Clippy here, were an attempt to give a helpful personality to Office, but proved unpopular enough with many users that Microsoft phased them out. 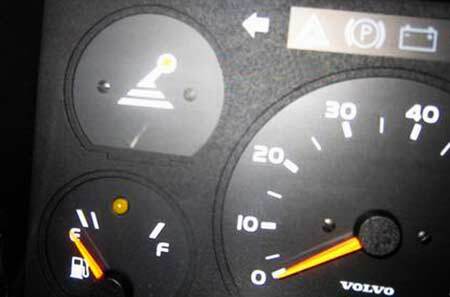 Photos/screenshots by Dan Lockton except Volvo 340/360 dashboard courtesy Volvo 300 Mania forum, Eco Button from Eco Button website, Pam personal activity monitor from About.com, AWARE Puzzle Switch from Interactive Institute website, loan simulator screenshot from Yahoo! 7 Finance, and Nicostopper from Nicostopper website. The behaviours you have assigned to Kairos are actually those for (Errorproofing) Metaphors. Is there a poka-yoke for preventing cut’n’paste errors? Good question, though: what could a poke-yoke for cut’n’paste look like? Some kind of context-aware routine that actually knew the sense of where you’d copied the item from, and where you were pasting it? In this case (assuming that level of AI hadn’t yet been developed), maybe just something that highlighted any particular class of words (e.g. capitalised nouns) in different colours so there would be an obvious visual mismatch in the editor?